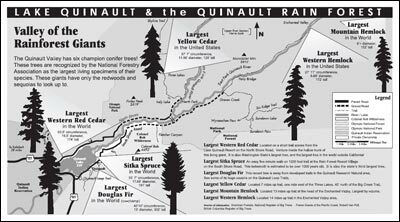 The Quinault Valley has six champion conifer trees! These trees are recognized by the National Forestry Association as the largest living specimens of their species. These giants have only the redwoods and sequoias to look up to. Click here to see full size PDF map.